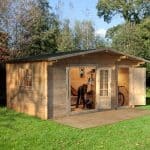 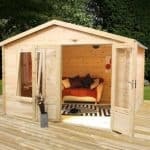 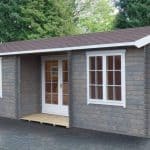 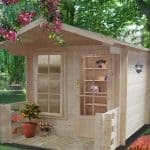 This neat looking small children’s wood log cabin is constructed from long lasting and hard wearing wood. 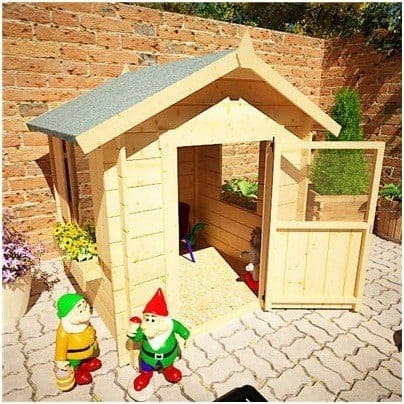 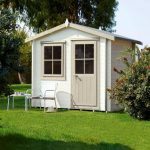 With a gorgeous windowed door and 3 feature side windows, apex room and window boxes it really is a spectacular playhouse for the children or grandchildren who will enjoy hours of fun using it. 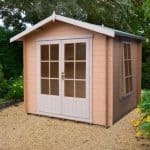 It is fully customisable in a paint colour of your choice but looks just as good in natural state.